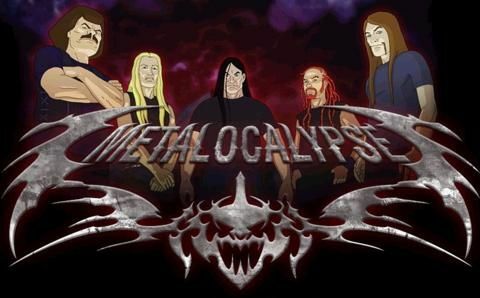 You will Watch Metalocalypse Season 1 Episode 17 online for free episodes with HQ / high quality. Stream cartoons Metalocalypse Episode 17 Dethclown Toki befriends Dr. Rockso, the Rock ‘n’ Roll Clown (he does cocaine), to the dismay of the rest of the band, unaware that the Tribunal has commissioned him to gather information. The clown manages to capture some important documents, though these may have been placed by the band’s lawyer, Ofdensen. Rather than chase him as he escapes, Ofdensen orders the Klokateers to follow him so they can see where he goes. Rockso returns the documents to General Crozier and Cardinal Ravenwood.